For those that love all things rich in tradition or those that are looking for a unique and special gift, the Breyer plush horses at Jack’s Country Store may be just the thing. 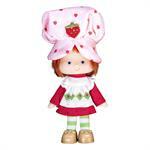 You can find mini beanie plushes, holiday horses, and large 30” plush horses. 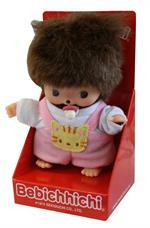 We guarantee that whoever receives one of these adorable and cuddly friends is sure to love them for a lifetime. 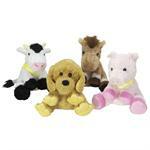 Breyer plush horses are great for children and even beanie plush collectors. Affordable, the min versions run under five dollars and the larger plush horses are competitively priced as well. This means you have a range of prices and options to suit any budget for any recipient, while still offering a meaningful gift. The toddler will have a bedtime pal, the young girl can have a friend to play with quietly, and even the teenage girl who loves horses may find a nice place in her room for one of these Breyer collectibles. When a toy is made so well and has been recognized for generations, it bridges the age gap—these are the kinds of heirloom toys that your children may pass along to their children. 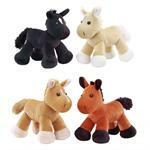 Shop our Breyer plushes here, as well as the other Breyer horses for sale. If you love traditional American toys and other nostalgic items like we do, be sure to bookmark us and return the next time you’re looking for something wonderful.